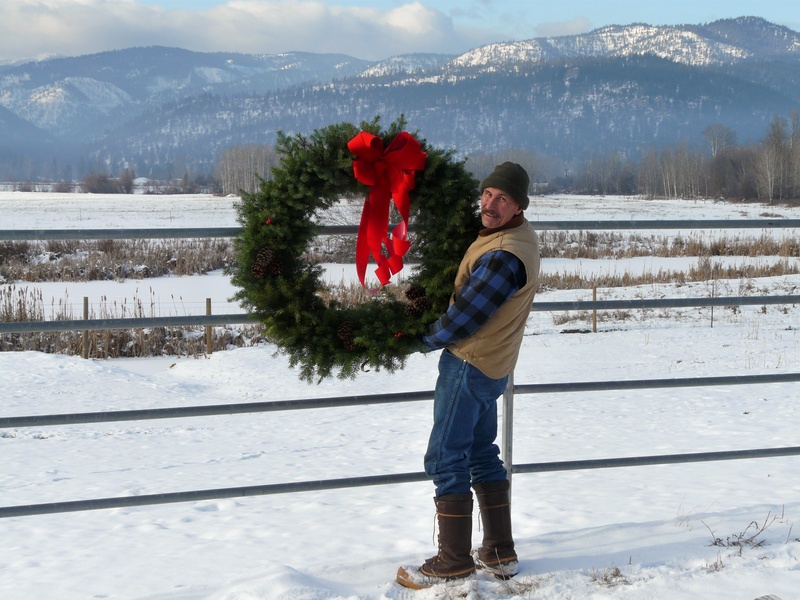 Start Your Own Christmas Tradition this year with a hand made wreath from Montana! The alpine fir trees only grow in the Rocky Mountain areas above 5,000 feet. The alpine and grand fir are a soft needle to touch and thus more user friendly. We wait until after the first hard frost before we begin collecting the boughs to make the wreaths. The frost causes the needles of the alpine to set, creating a longer lasting wreath than you will find anywhere else. No Online Sales – Please contact us for prices and other information! 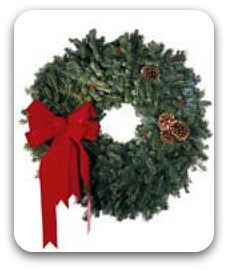 No wreath orders after Nov.10th. shipping starts the week before Thankgiving. 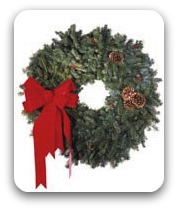 This traditional wreath is hand made from fresh alpine fir. It measures about 24 inches in diameter, is decorated with a red velvet bow, 2 ponderosa pine cones, and red berries. This magnificent cross is quite a statement! It is roughly 36inches tall by 24inches wide, our cross is hand crafted from the beautiful fragrant alpine fir. Decorated with a simple red multi-looped bow. 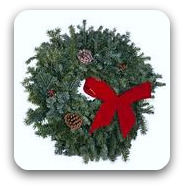 Please call for prices and sizes available on our Custom Deluxe Wreath.